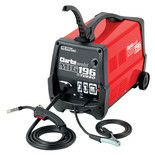 Power settings from 30 to 130Amps. 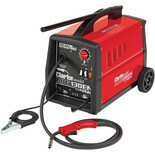 Welds mild steel up to 5mm thick. 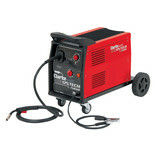 Turbo fan cooling for improved duty cycle & transformer life. 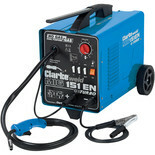 Uses 0.6 and 0.8mm wire up to 5kg spool. 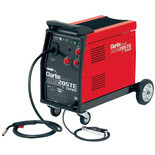 Able to achieve the same top class results as the 195TE and 230TE, a lower duty cycle enables this fully featured 185Amp MIG205TE MIG welder to be offered at an incredibly low price. 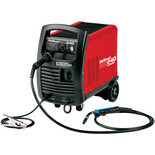 With its combined power and extended duty cycle, the MIG255TEC is a fully specified MIG welder that will cope well in an industrial environment. 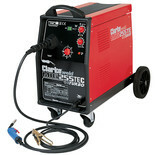 An excellent choice for a busy autobody repair shop. 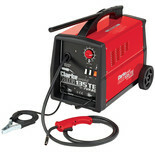 Our range of mig welders can make those tricky repair jobs that much easier! Ideal for auto-mechanics and professional engineers as well as for use in home garages, our mig welders’ sturdily built design means you’ll be provided with first class results at a consistent rate for many years to come. 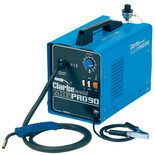 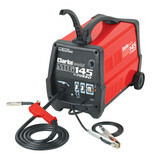 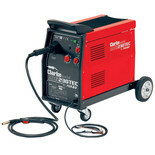 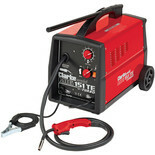 Heavier duty automotive mig welders can be used on a day-to-day basis in car body shops and factories. 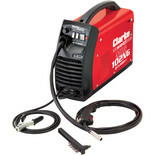 There are variations on the mig welder design as other models we have available can give you a something a little more tailored to your specific needs, especially if you need a portable, sleek mig welder solely for home/ D.I.Y use. 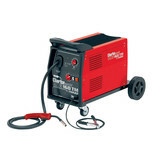 Our mig welders are a great addition to your workshop and offer fantastic value for money regardless of whether you’re a D.I.Y newcomer or a seasoned car mechanic.